The demand within the global market for oat drink has been rising on account of expansion of the product portfolio of the food industry. The health benefits served by oat drink are commendable which has been the primary driver of demand across the global market. Most food researchers have hailed oat drink as a healthy substitute for other forms of milk. This factor is a key consideration while gauging the growth dynamics of the global oat milk market. Moreover, oat drink is gluten-free which in turn gives an impetus to the growth of the global market. Several lactose-free alternatives for milk have come to the fore in recent times, and oat drink is also one of them. Hence, the growing incidence of diseases related to lactose intolerance is projected to drive demand within the global oat drink market in the years to come. Furthermore, increase in the number of selling points for oat drink shall also play a pivotal role in the growth of the global oat drink market. The global market for oat drink may be segmented on the basis of the following parameters: by flavour, by distribution channel, and by region. The relation of the oat drink market to the beverages industry makes it important to get a peek into the aforementioned segments. The report on the global market for oat drink gives a peek into the trends and opportunities that have aided market growth in recent times. 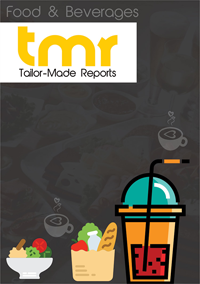 Furthermore, the presence of multiple sellers of non-dairy products has also given an impetus to market growth. The report elaborates this point and provides the readers with key points to understand the market scenario. Furthermore, a geographical analysis of the global oat drink market has also been enunciated in the report. The demand for oat drink has been rising on account of advancements in the food industry. All new products that have developed within the food sector are extensively promoted across various channels. This results in the popularity of new products such as oat drink and oat milk. Hence, there is no contention about the fact that the global market for oat drink would expand at a stellar rate in the years to come. The availability of various flavours of oat drink has also led to the popularity of the product. Besides this, improvement in the distribution channels of the food industry has also aided oat drink market growth. On the basis of geography, the global oat drink market is segmented into North America, Latin America, the Middle East and Africa, Asia Pacific, and Europe. The market for oat drink in North America has been rising at stellar rate on account of advancements in the healthy foods industry in the US and Canada. Moreover, the presence of specialty stores and convenience stores that sell oat drink has also propelled demand within the regional oat drink market. Some of the key vendors in the global oat drink market are Alpro, LIMA, Rude Health,), Innocent Drinks, Hain Daniels (Brand Dream), and Pureharvest.